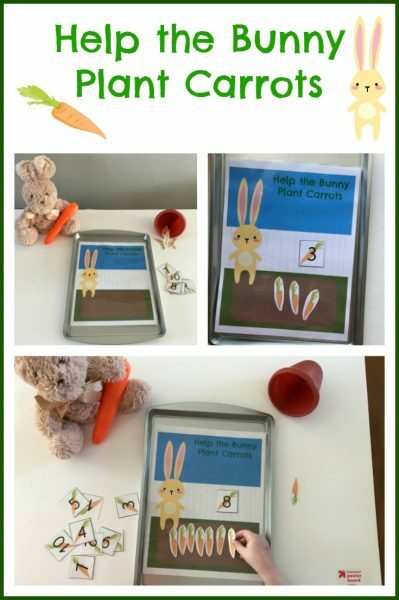 It's SPRINGing up Fruits & Vegetables in Preschool! Fruits & Vegetables Playful Learning Activities for #Preschoolers! While our kids have been in a particularly long phase of playing picnic and restaurant, we have decided to update some of our fruit and vegetable activities to capitalize on the interest while it’s still here. We hope your own preschoolers enjoy playing and learning with fruits and vegetables, too. Fruits and Vegetables Playful Learning Activities in Preschool! Disclosure: this post and others within the blog contain affiliate/distributor and sponsored links/content. Please see our disclaimers and terms for full information. Print the mouse template for each of your children (or the activity can be done as a small group activity). Have the children make circles or spirals with the pipe cleaners or Wikki Stix. When the children are done covering their mouse with the Wikki Stix spirals or circles, ask the children to brainstorm different fruits or vegetables that are the same colors as the ones created on the mouse. Draw a line and label each mouse with the name of a fruit or vegetable that corresponds with the color of the pipe cleaners or Wikki Stix. After labeling each child’s mouse, discuss with the children different varieties of fruits and vegetables that may not be as familiar to them. Extension #1: Provide the children with a sample snack of the less familiar fruits and vegetables discussed above. HINT: It is helpful to pair a new food with a more familiar (and LIKED) food when introducing foods to young children. Extension #2: Read “If You Give a Mouse a Cookie” by Laura Numeroff. Discuss foods and how to make healthy food choices with the children. Have the children complete the activity above “giving” their mouse fruits and vegetables with pipe cleaner, Wikki Stix spirals, or bingo dot markers. 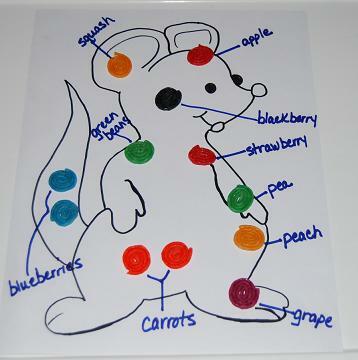 Complete the project by labeling all the colorful fruits and vegetables “given” to the mouse! 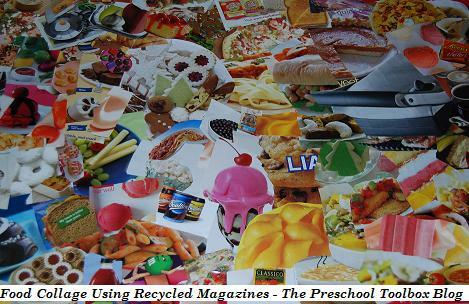 Directions: Creating poster-sized food collages is FUN for preschoolers. Invite the children cut out/tear any food pictures from old magazines. The children can use glue sticks or even small pieces of Wikki Stix to mount their pictures to a poster board (the Wikki Stix will adhere to the pictures/poster board so no glue is necessary). When the children have filled the poster board with their food pictures, invite the children play “I SPY” for fruits and vegetables. It is fun for the children to locate their own pictures and those from their peers. For fun painting/printing projects, have the children paint with non-traditional painting tools. 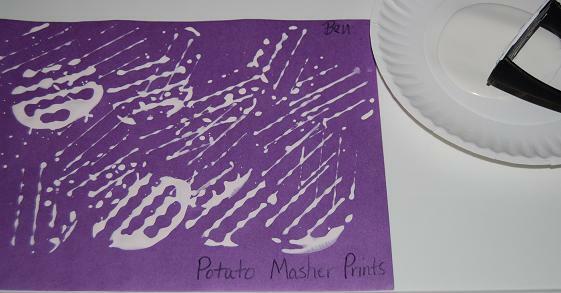 The children can use celery, carrots, apples, or potatoes to make prints. In the photo above, we used a potato masher to make the prints. What other tools have your children used that are fun to paint and make prints with? Directions: Ask the children to pick any number that they have had introduced. Use that number in a PLUS ONE number sentence at the top of each child’s page (see photo above). 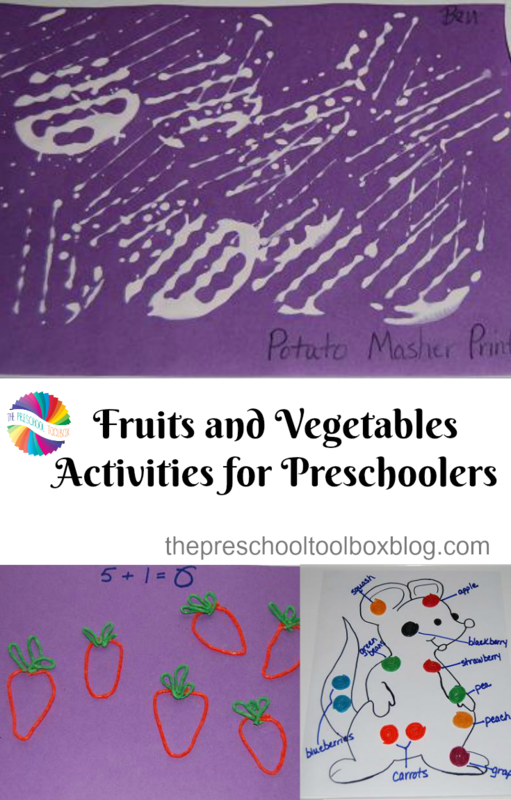 The children can then use crayons, markers, collage materials, pipe cleaners, or Wikki Stix to create that number of fruits or vegetables on their paper. The child in the photo above chose to use all carrots for his problem. Some of the children mixed fruits and vegetables to do their own hands-on math creations. When the children are finished, have the children expand the learning by telling a story about their pictures. 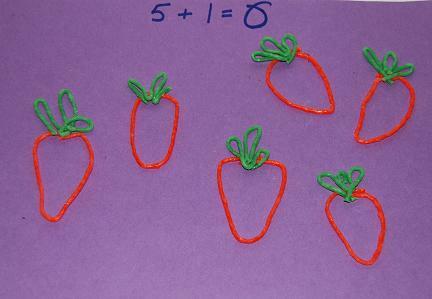 The child who made all carrots said, “A farmer only planted 5 carrots, but the Easter Bunny came along and brought 1 MORE so there were 6!” I LOVE when kids get into the habit of THINKING MATH! It is truly awesome! We have eaten MANY pretend fruits and vegetables this month! Regardless of how OLD you are, when a toddler or preschooler offers you a pretend apple, you EAT it! Spring Math with a Free Printable to help preschoolers with 1-to-1 Correspondence Skills.